This beautifully decorated two tiered Lolly Drip Celebration Cake is perfect for any celebration! 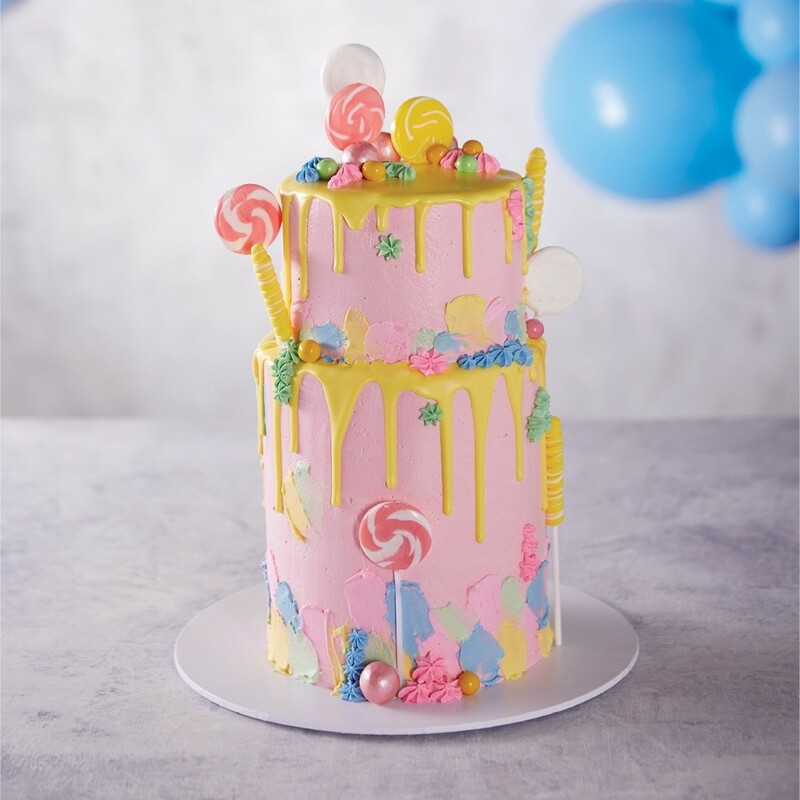 Decorated with a yellow icing drip and lots of lollies on a pink cake with multi-coloured brush strokes. This cake is perfect for your next party.